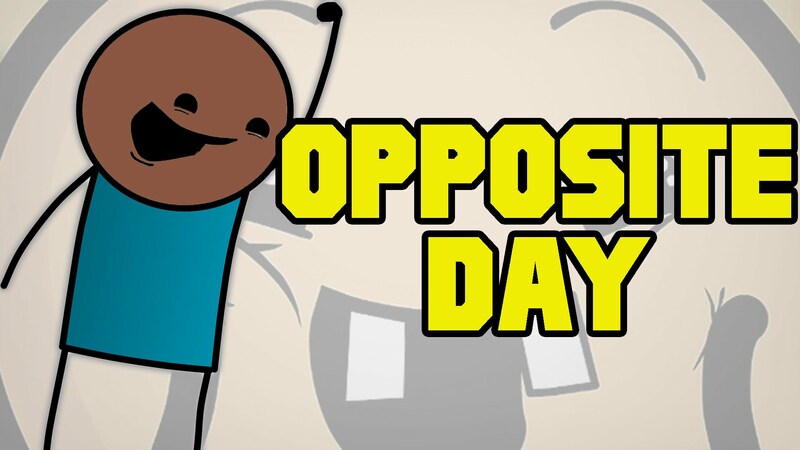 Opposite Day is an informal holiday; while it is unclear who created this day and for what purpose, there is a rumor that it came from a playground game where children trick each other by asking silly questions and then reversing the answers. This opposite day is generally observed among children and lasts for the entire day. On Opposite Day it is declared that statements mean opposite of what they usually mean. This day is also sometimes called National Opposite Day in the United States. Children enjoy this day a lot, but you can’t have fun today, as nothing is permitted and no one wants to have fun with you. Of course, on opposite day all of that means the opposite! However, this is the best day to talk to the people who are close to you and having fun is the uttermost significant thing you can do on this day. Opposite Day may be maddening for some, but it can be the best (worst) fun you’ll have all year. This holiday is very popular among children, who enjoy the kind of being ridiculous that can occur when everything you say is reversed. Doing these kinds of things may open your mind to do some incredible things and it may help you to find diverse ways of thinking. This will stimulate you to keep up with everybody saying the opposite of what they really mean. The more pessimistic of us might be surprised how this is any unusual from the rest of the year. On this day all you need is mental agility, quick humor, and the talent to choose words that we may not use every day. Not only that, but some of the things we may overhear saying to our friends and colleagues may be nothing short of extreme. Just be conscious, though, as you need to make sure the people you’re talking to identify it's opposite day, or you may wind up hurting someone’s feelings. This day has shown up in a lot of diverse forms of media, but at the end of the day, it is celebrated to make others happy and make it a very special day. Opposite day starts with making your brain more active with opposite sayings. When you like something, you say how much you hate it. You can tell someone how yummy something is with a bitter face, and then spit out it. There are millions of ways you can twist your tongue with the words that are antonyms of what you mean. Tell people what a nice night it is when you, in fact, mean what a nice day it is, and tell them that you will see them yesterday when you leave for the night! Celebrating Opposite Day is not an easy task for everyone. You just have to do the opposite of things that you usually do on a normal day. If you can, start the day by ending it; which means go to bed in the morning and work at night. Have dinner at breakfast and breakfast for dinner. 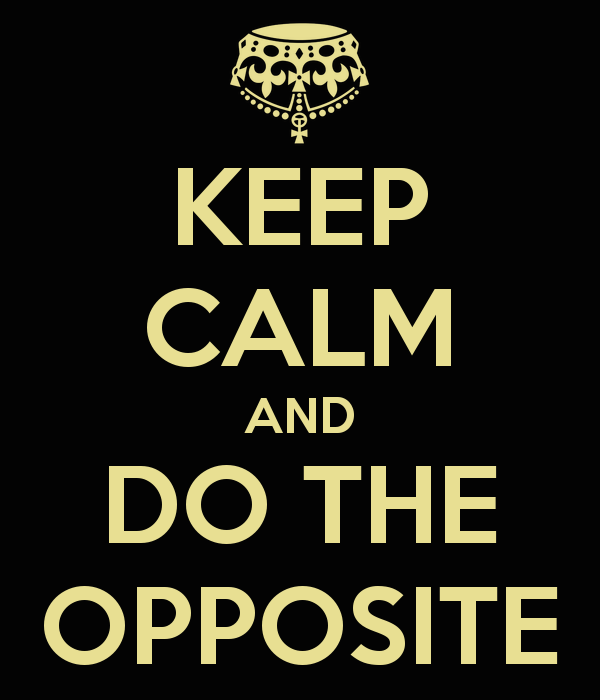 Let your friends, family, and colleagues know that you are enjoying Opposite Day. Or else it could confuse everyone around you. About the Opposite Day Paradox. Technically Opposite Day cannot exist; you say today is Opposite Day because there are no rules of the game. Today would be the opposite of what you just said i.e. not opposite day or a regular day.